Environmental policy is one of the most important policy fields in Germany. Despite the importance of environmental policy, little is known about the factors that have driven the development of scientific environmental policy advice. 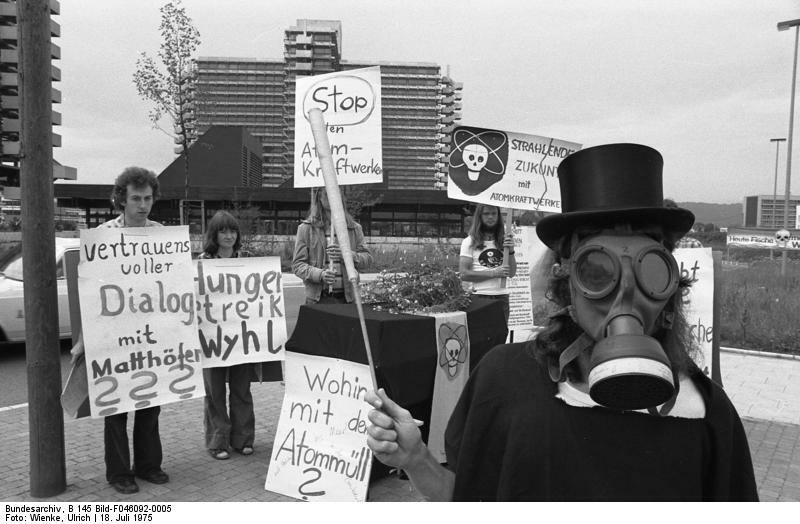 Was the German environmental policy initiated top-down or bottom-up? What role did the anti-nuclear movement play for the founding of individual environmental research institutes? What was the role of civil society? How has environmental consulting changed over time? And what can environmental consultants learn from these experiences? The project “From ‘The Blue Sky above the Ruhr’ to the Energiewende” aimed at shedding light on these questions and the founding and development of the independent environmental policy research institutes. The project ran from December 2012 to August 2014. The project team applied the “oral history method”, holding a total of 20 interviews with contemporary witnesses. The oral history method provided a framework for comparison while also gathering new insights by allowing for "storytelling." Filming the interviews provides spectators with a more direct access to what has been said, as they can interpret the information and the body language of the interviewee. 19 of the interviews were filmed, one phone interview was taped. The filmed interviews are between 60-100 minutes in duration. 10 minute clips of the filmed interviews can be viewed on the project website and the YouTube channel of Ecologic Institute. The full interviews, as well as transcripts of the interviews, can be ordered from Ecologic Institute. To discuss the subjective experiences and to put them into context, following the interviews 2-3 interviewees on each full interview-day participated in a panel discussion with the audience. These discussions were also filmed and can also be viewed on the project website and the YouTube channel of Ecologic Institute. The focus of the project was to collect knowledge on the developments outlined above and store these insights for scientific use. However, a first analysis of the results was also undertaken: as part of the project seven short papers were produced. In these papers the insights from the interviews were complemented with a literature review. Thus, universities, institutions, and individuals can benefit from the knowledge generated and learn from the documentation.